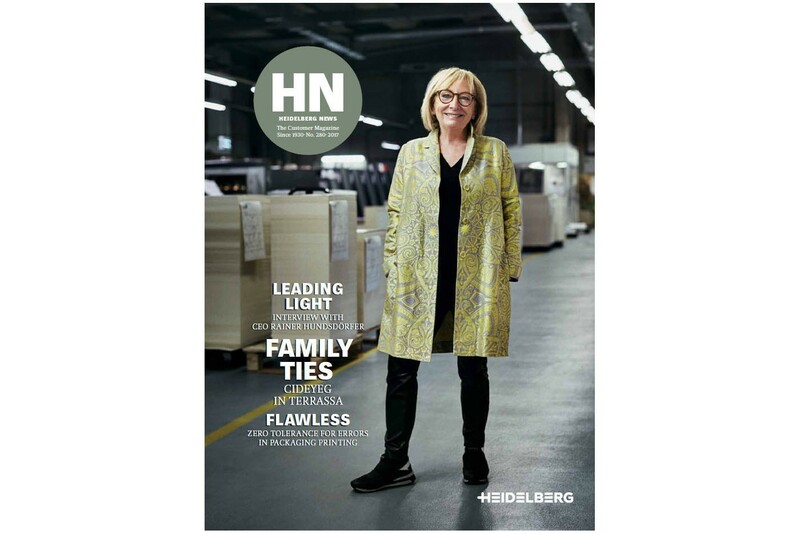 Heidelberg News (HN) is a magazine published for and about the printing industry by Heidelberger Druckmaschinen AG. Published twice a year, HN has a circulation of around 60,000 copies and is available in over 80 countries. The magazine features articles about industry trends, new technologies, print applications as well as success stories of print shops from around the world. Click through our latest edition or download previous issues below. Enjoy – and do not hesitate to send us your comments and suggestions at heidelberg.news@heidelberg.com. No one wants to leave family business Cideyeg. Some customers and employees have been loyal to the print shop for 50 years. A whole new press isn’t always necessary. Most functions can be retrofitted and then marketed to profitable effect – even some time after the original purchase. Heidelberg CEO Rainer Hundsdörfer on the prestige of mechanical engineering, the transformation to a digital company and home sweet home. Upcycling transforms materials that have been discarded or are surplus to requirements into everyday items such as furniture, fashion, decorative objects and sometimes even entire homes.